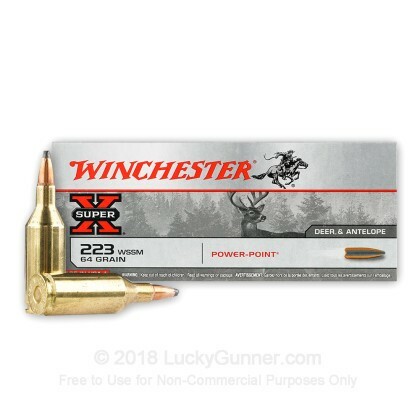 Whether you are looking to rid your property of coyotes or you are planning a deer hunt, this short and speedy .223 WSSM Super-X ammo by Winchester is designed to handle it all. 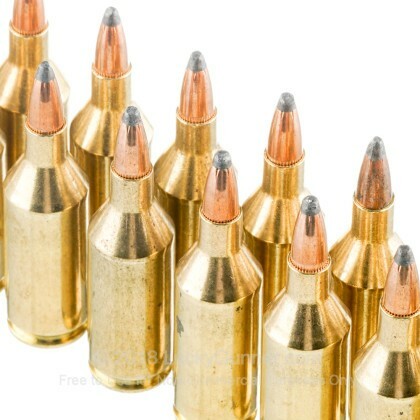 This particular cartridge has a 64 grain power-point (PP) projectile that rockets out of the muzzle at 3600 fps. 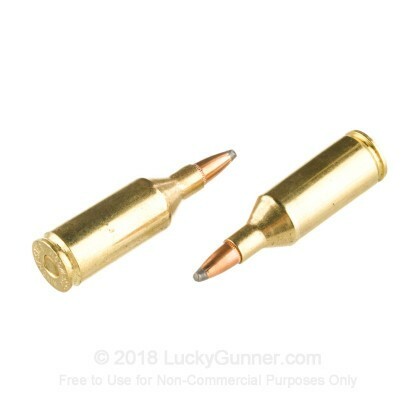 Winchester has perforated the copper jacket in precise areas around the exposed lead tip that enables the wide and reliable expansion necessary to humanely kill medium game. Each .223 WSSM cartridge in this box of 20 is loaded into a new production, Boxer-primed brass casing that is non-corrosive and reloadable. This caliber is a member of Winchester's Super-X line, known among shooters for its affordability and its consistency round after round. Winchester has wowed hunters and competitive shooters with their innovative ammunition for 150 years. 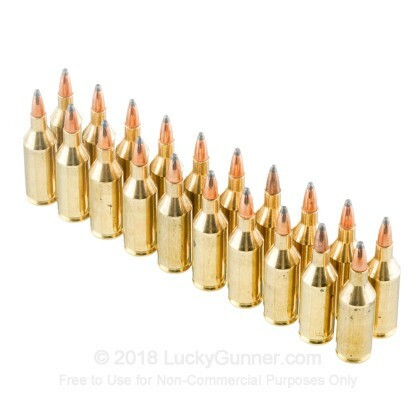 Created in 2003, the .223 Winchester Super Short Mag caliber was designed to be one of the fastest .22 calibers on the market. Order your 20-round box today and experience the speed first-hand! 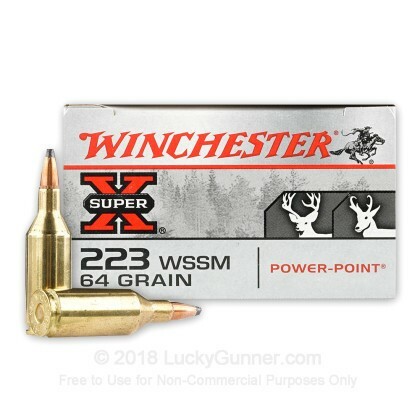 We don't have any reviews yet for this particular .223 WSSM ammo from Winchester. 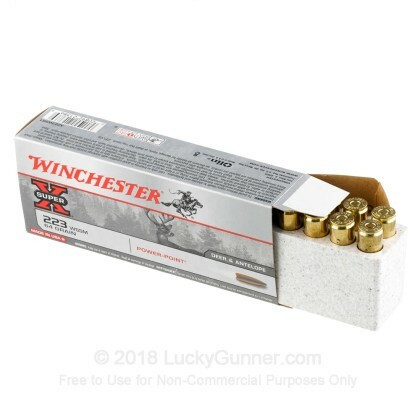 If you'd like to be the first to review this particular .223 WSSM ammo from Winchester, fill out the form below.